Hello DIY-ers and art lovers! Behold my first blog post, which is pretty exciting now that I have decided to be a stay-at-home mom. 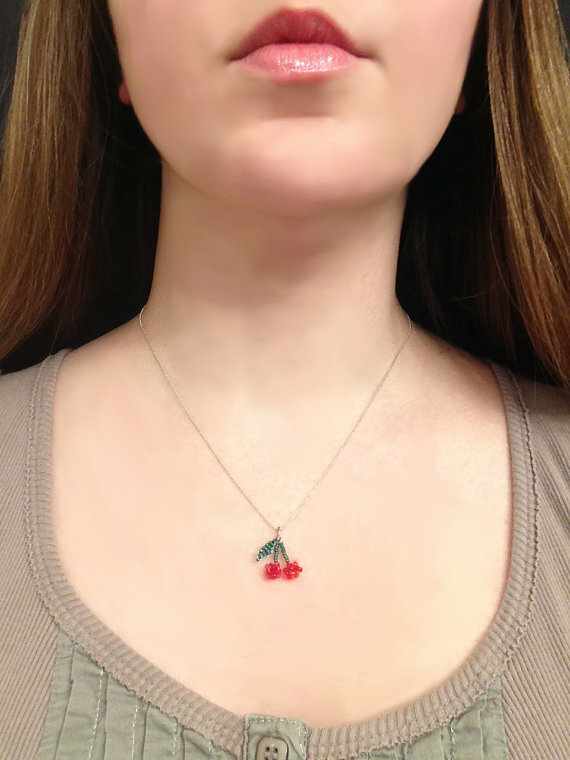 I’ve had an obsession with cherries since I was a teenager. It’s such a cute, sweet, and retro icon that comes in and out of popularity but never really goes away. It works for all ages too! In high school I bought a beautiful cherry rhinestone necklace, but the stones fell out. I searched all over for a new one. I wanted it to be 3-D so it wouldn’t flip to a backside, sturdy so it wouldn’t lose pieces, and of course, SPARKLY! I couldn’t find anything, and then I realized I could just bead one myself. 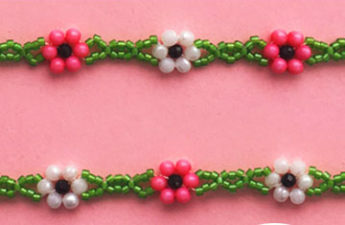 Fortunately I grew up in Oregon, so I am somewhat of a hippie granola flower child, and know a thing or two about beading.